​ Providing high quality work opportunities for Newark high school students in the summer has been a long-standing priority of Mayor Ras Baraka. The 2018 Summer Youth Employment Program (SYEP) is an excellent example of a successful private/public partnership. A record number, 3,200 Newark youths, participated in SYEP at sites across the city from July 9th through August 17th. All participants receive ongoing support from trained SYEP Program Monitors throughout the summer, including one-on-one career coaching. SYEP participants can also attend academic enrichment and summer school programs. Students with work placements are matched with jobs based on their specific interests and personal passions. Prior to starting the program, each youth participates in a workforce readiness program, with training modules related to resume writing, career planning, communications, conflict management, and financial literacy.Mayor Baraka has been a stalwart champion of this youth employment opportunity, "We recognize that our youth are our talent pipeline of the future. 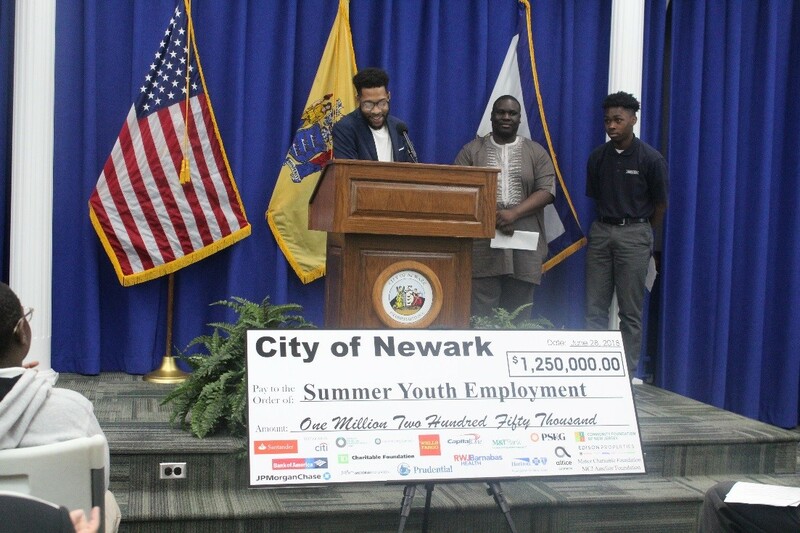 We are putting them on a pathway to college and career, and ensuring that they will be ready to fill jobs that are, or will be, available in the City of Newark," he said.The size of SYEP has grown from serving 1,000 students in 2014 to 3,200 youths this summer. This growth is only possible because 20 corporations and foundations stepped up to supplement public dollars by $1,250,000—including Victoria Foundation, which increased its gift from $150,000 last summer to $220,000 for summer 2018. SYEP has evolved into a stellar program for thousands of Newark youths, and cities across the country are looking to Newark's success to replicate this "best practice" model of summer youth employment.